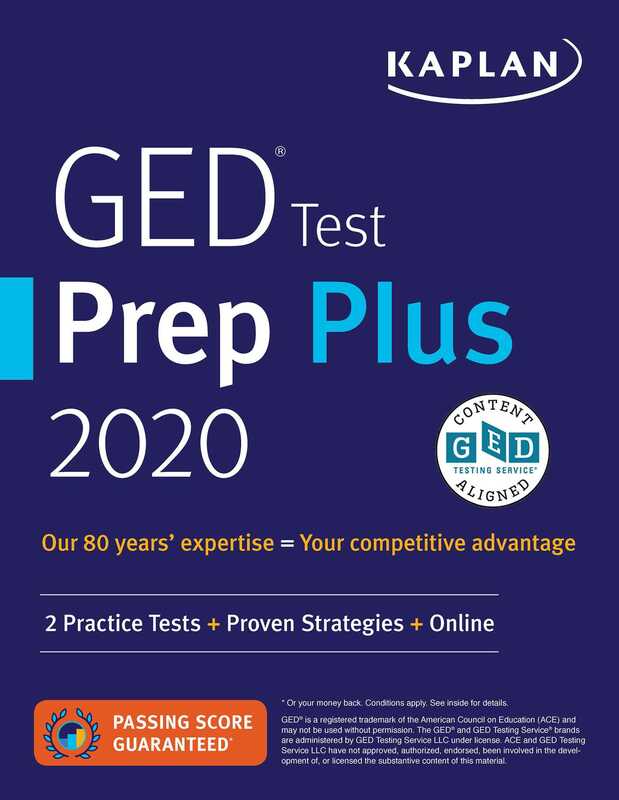 With realistic practice, proven strategies, and expert guidance, Kaplan's GED Test Prep Plus 2020 gives you everything you need to pass the test. Kaplan is the official partner for live online prep for the GED test and our content is 100% aligned with the GED test objectives. While other GED guides are intended for classroom use, our book is designed for self-study so you can prep at your own pace, on your own schedule. We’re so confident that GED Test Prep Plus 2020 offers the guidance you need that we guarantee it: After studying with our book, you'll pass the GED—or you'll get your money back.